The main motive behind installing these dispensing machines is to create awareness about menstrual hygiene and to sensitise the community in general that “menstural cycle” is a natural process and shouldn’t be treated as a taboo. 21 January 2019: In a first of its kind, Apollomedics Super Specialty Hospital in association with Mrinalini Mitra, CEO, Founder of Panthalassa NGO, takes an initiative to install sanitary napkin vending machine at CMS Vardhan Khand, Gomtinagar Extension. Students and teachers were given demonstration on the functioning of the machine. Girls can get one sanitary napkin at a time by putting a coin in a machine. A student from CMS Gomti Nagar said, the vending machine will especially help those students who start menstruating for the first time and who do not have fixed menstrual cycle. 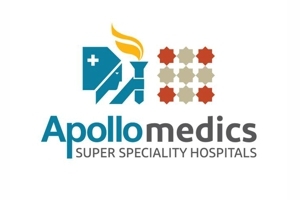 Dr. Susheel Gattani, Founder Chairman Apollomedics Super Specialty Hospital said that social taboo was observed to be attached with sanitary napkins, wherein a majority of girls and women hesitate to go to medicine outlets to buy them. This results in unsafe practices and use of unhygienic materials during their menstrual period. With this initiative our aim is to spread awareness on women’s well-being, hygiene and menstrual health and would educate girls and women on their health, and spread awareness among schoolchildren. It has been observed that sometimes girls are hesitant to approach anyone for sanitary napkins. Earlier several students had missed their class and gone home when they suffered pain during their menstrual cycle period. This initiative will help the students in a better way to focus on their education. The vending machines been installed to ensure an effective, safe and convenient mode for any time access to the sanitary napkins. Whenever any girl in the school would need a sanitary napkin, she would either have to ask the Faculty in charge or rush to a nearest medical store to purchase a pack of sanitary napkins. This can be a great help in emergency situations when a need for the sanitary napkin arises. It not only enables young students to have access to sanitary napkins, but it also sends out a positive message to girls, that the schools are sensitive to their needs. Later, a session was also held with the students with a gynaecologist about personal hygiene where students discussed their gynaecologist problems. Dr Neelam Vinay, Obstetics and Gynocologist, Apollomedics Super Specialty Hospital said that this is the initiative to make females come forward with their health issues and discuss that openly without feeling shy. The students shall come forward with their menstrual-related problems while some complained of irregular periods and other issues. This is the need of the hour and discussing the issues will ensure hygienic practices among girl students. The purpose is to promote safe and hygienic sanitary practices among the women and girls at school. It is likely to bring down absenteeism during menstrual periods, as well as prevent infections and promote hygiene. This entry was posted in Education, Medical. Bookmark the permalink.